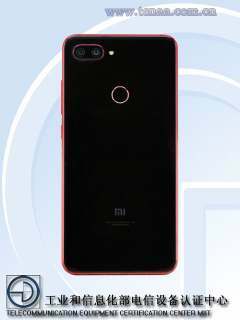 Xiaomi Mi 8 lite new variant spotted at Chinese certification site TENAA.The handset found in a code name of M1808D2TT with RAM up to 8GB.The reports says that it would come with new color variant as well. 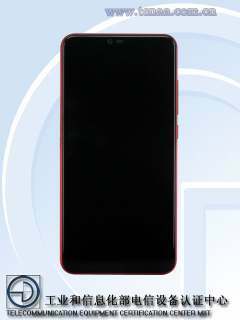 The Xiaomi Mi 8 lite variant would have 8 GB RAM along with 4GB and 6GB RAM variants.Like,it's predecessor it has 64GB and 128GB internal storage.The device has 6.26 inch Full view display with 2280×1080 pixel resolution.It measured as 156.4 mm height 75.8 mm width and 7.5 mm width weighs 169 gm. As listed,it has 2.2 GHz octacore processor with Android 8.1 Oreo.Its camera has been listed as 13MP+8MP dual camera on rear and 24MP single sensor at front.Unlike it's previous version,it features 3250 mah battery.As we can see in images there are orange colors around power and volume button as well as around camera module and finger print sensor.It indicates it may come in mixed color types. Though TENAA has certified this device on 10th October,company has not revealed any comment about this handset.However,we can expect it's launch later this month in China. As of writing this there is no official informations about this phone.It can expect slightly costier than its previous low end model.